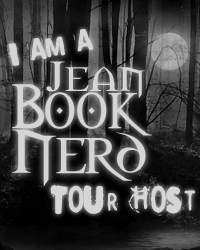 Today I have an exciting blog tour and giveaway for you! Review: The thing I loved most about this book was definitely the setting. Japan is such a beautiful and culturally rich place and this book gives you a huge dose of it! The dust jacket mirrored the story/plot perfectly and the “maneki neko” on the front was super clever and cute. I loved Elle’s character in that she had thick skin and taught herself to be independent and didn’t let her horrible life destroy her. I really enjoyed experiencing Japan through Elle’s eyes and seeing her adjust too so many new things like Japanese customs, a fancy school, and having a father she never even knew existed. I liked Miss Cohn’s writing and attention to details although I would have liked to know what happens to Reggie (I need a dramatic confrontation!) and Elle’s mom. All in all I absolutely loved the heartwarming conclusion to this story and it’s fast pacing combined with it’s fantastic story will keep you turning the pages! I highly recommend it to fans of Japanese culture.